The Edlio office is filled with people who are passionate about connecting schools with their communities. While most Edlio is busy designing the best education technology for K-12 schools, the Marketing team has the unique job to share with school leaders exciting news and updates happening each day at Edlio! 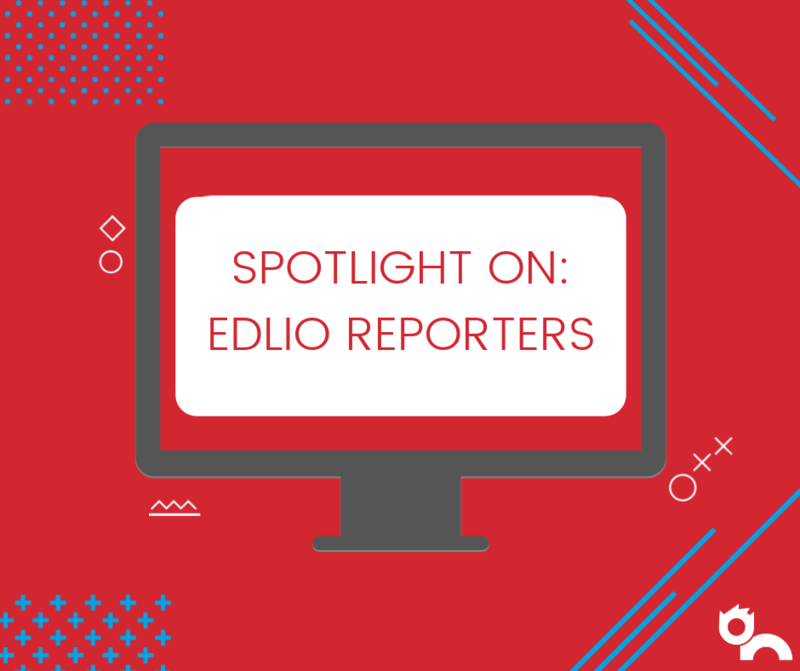 This month, we are putting the spotlight on their team and asking them about their positions, Edlio, and their expressions of creativity. What made you want to pursue Marketing? Shannon: I took some marketing courses as part of my Economics BA and really enjoyed it! I like how open-ended marketing feels - there's room to be creative, but marketing also requires analytical or data-driven thinking. Nikki: I like being able to use science and data to make creative, exciting content that is actually relevant to those who receive it. Sydney: I love the idea of connecting those who need a product or service with people who are able to provide it. I get to play matchmaker between schools and their new CMS! Emily: I think marketing chose me, actually! I've done design and coding previously. That combination of creativity, planning and analysis made marketing a perfect fit. What is your favorite part of your Marketing position at Edlio? Shannon: One of my favorite parts about working on the marketing team at Edlio is how much we get to collaborate with each other and with other departments! I find I come up with the most interesting and creative ideas when working as a team. Nikki: Our team is constantly growing and learning new techniques. I get to test out new concepts every week! Sydney: My favorite part of being on the Marketing team at Edlio is how everyone works hard together to achieve a common goal. No one is just out for their own success. It’s a team effort to provide schools with the best communication possible. Emily: Working with my teammates. We all came to Edlio from different paths, which keep the ideas flowing. What are some of the best ways you have seen schools market their unique brand? Shannon: I think that one of the biggest things schools can do to market themselves is to make sure their sites are up-to-date! Your community will want to keep up with your school if they know that there will be something new each time they visit the website, like photos from recent events, updated calendars, or news alerts. Nikki: I love when schools really make the most of photos and videos. Showing - instead of just telling - visitors what life is like at a specific school is one of the easiest ways to convey how great that school is. Sydney: I think it’s great when schools highlight the achievements of alumni on their website. It shows that the school continues to care for each student even after graduation, and it also teaches prospective parents that the school will set their children up for success. Emily: Schools are hubs of activity. The website hosts a variety of audiences, with multiple needs. The best sites feature a homepage and navigation that makes it easy for all visitors to find what they are looking for and interact with the site. Do you have any social media tips for schools? Shannon: Be consistent! I don't think you have to (or should) spend hours each week updating social media, but if you update a couple of channels (say, Facebook and Instagram) on a regular basis with interesting content, your community will know to follow you there for updates. Nikki: Make a schedule! A weekly, monthly, or even yearly social calendar can help really help you stay on top of posting to each of your social accounts on a consistent basis. Sydney: With social media, sometimes it’s hard to stand out since most schools also have profiles on Instagram, Twitter, etc. My tip would be to really let your school’s unique personality shine. If you have an amazing theater program or great volunteer experiences, highlight that as much as you can! Emily: If you can, experiment with the day and time you post different messages. Is 3pm too early for parents? Would a post at 5 get more engagement? Would Sunday evening be better than Monday morning for reminding your followers about an upcoming event? Marketing is often associated with creativity. How do you usually express your creative side? Shannon: I am fairly good at baking and horrendous at playing the piano. I like to do both! Nikki: I may have a small obsession with purchasing candles and indoor plants. I love making my room feel like a zen resort while it's below zero outside. Sydney: I love finding new and unique decorations for my apartment! Emily: Baking--a rainbow cake for my niece's first birthday is currently in the planning phase. I used to do crafty things like crochet and stained glass, so I'm thinking of trying a new craft, maybe quilting. What Do the Best High School Websites Have in Common? How are Websites for Schools Built Differently from Others? What is a Responsive School Website?